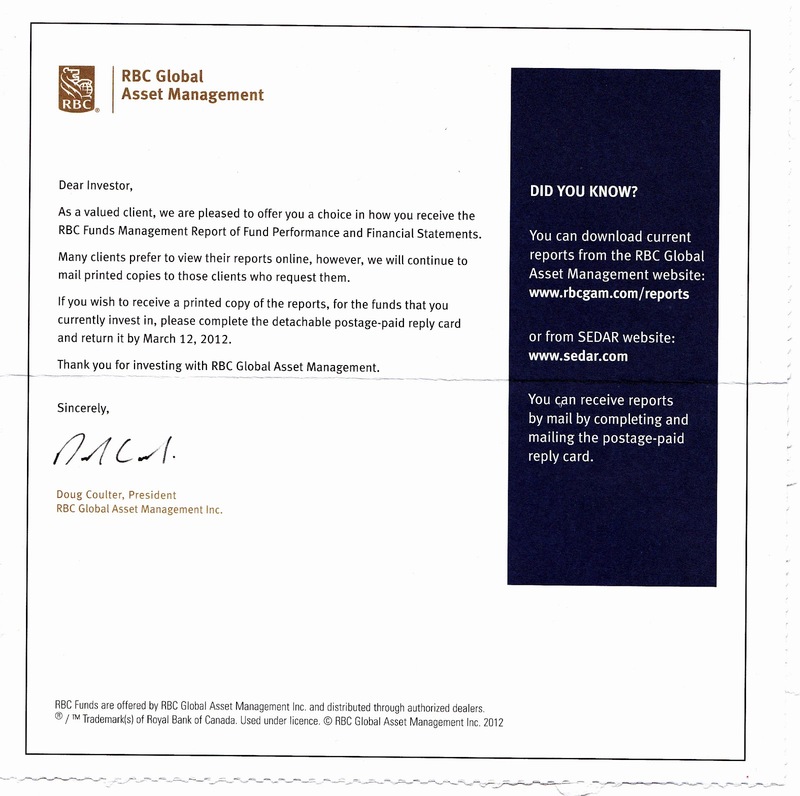 Wow, check this out: the President of RBC Global Asset Management is writing to me! As much as I hate to get all red-pencil pedantic with my new pen pal , I think there are few hiccups here. 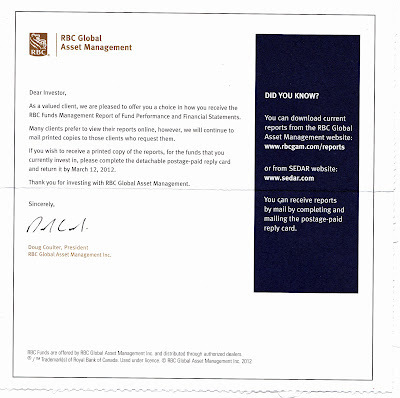 Many clients prefer to view their reports online, however, we will continue to mail printed copies to those clients who request them. The marriage of those two sentences is even more awkward and grotesque than the Julia Roberts-Lyle Lovett coupling. Here's a nickel, Mr. President. Go buy yourself a period. I don't know where that superfluous first comma wandered in from, but I'll bet I'm paying for it with some kind of service charge or another. I mean, really. My "investments" consist of a flaccid retirement account that is propped up by monthly contributions from my empty wine bottle redemptions. Which makes me an "investor" the same way my three-year-old's Easy-Bake Oven makes him a chef. Oh, dear. It appears, judging from this garish sandwich board sign occupying sidewalk space on our local main thoroughfare, that one of those elaborately-scarved, morally-bankrupt soothsayer fraudsters has unpacked her scented candles and patchouli oils and set up shop in our neighborhood. But really, Angela--"Ruin Stones"? If you can't get that right, you are going to give your profession a bad name and "rune" it for all the other, more orthographically diligent, small-time hustlers and pernicious beady-eyed swindlers.